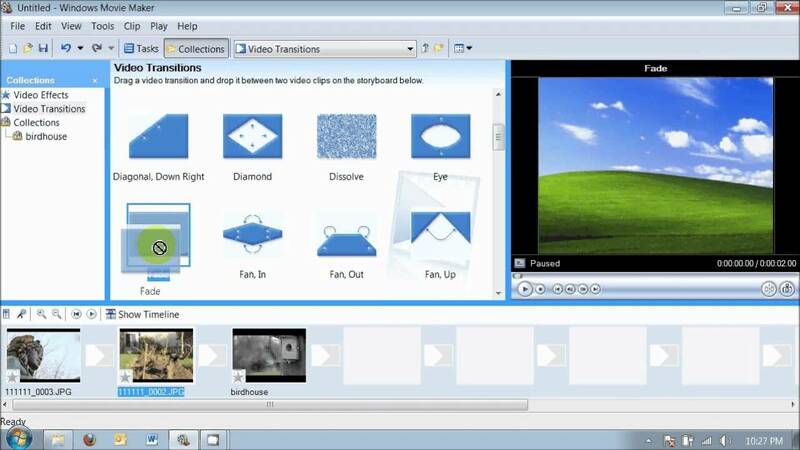 Want to clip out one of your favorite scenes on Blu-ray disc for editing with Windows Movie Maker? However, you may find that you have great trouble to do that job in just the beginning step, you can't not even copy the video clips from your Blu-ray disc onto your local computer drive, not to say to import and edit the Blu-ray movies with Window Movie Maker. Fortunately, with the right tools in hand, all your headache can be easily eliminated with ease. Obviously, you can't directly load the Blu-ray disc into Windows Movie Maker, you will first need a special program to copy your favorite scenes onto computer. However, as Blu-ray disc usually has complicated copy and region protection, you will need a special program to bypass that protection. 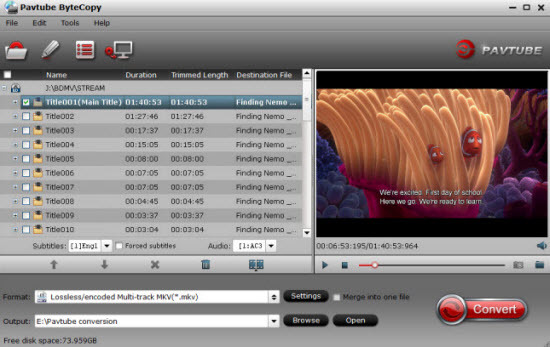 A lot of people recommend to use MakeMKV, however, you may find that the program only enables you to output a large MKV file, which are not supported by Windows Movie Maker, you still need a special video encoding software such as Handbrake to convert MKV into Windows Movie Maker supported file formats. It would be a great hassle for you to find one program to remove the protection from Blu-ray disc and another program to convert Blu-ray to Windows Movie Maker supported file formats. 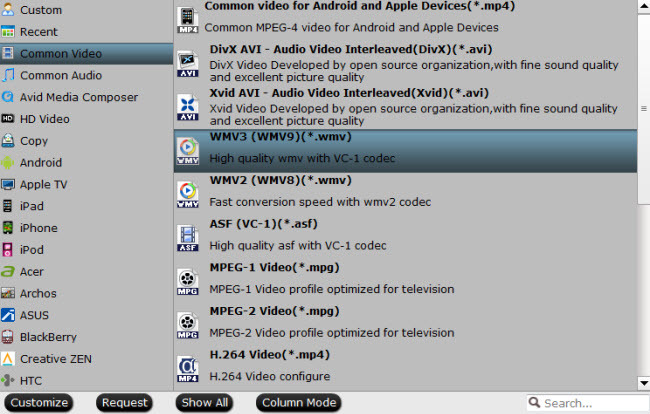 Here, a MakeMKV alternative - Pavtube ByteCopy is recommended to you, the program has recently upgrade with support for MKB61 , which enables you to decrypt protection from all the recently released Blu-ray disc in the background automatically without installing any third-party program or plug-ins. It can load Blu-ray disc, BDMV folder and also ISO image files and also pick the main title (usually the longest titlte) for you. For importing and editing Blu-ray with Windows Movie Maker, you can directly output Windows Movie Maker supported file formats such as WMV, QuickTime MOV, DV AVI, MPEG-4, MPEG-2, MPEG-1, etc. Apart from Windows Movie Maker, you can also use the program and also its Mac version to rip Blu-ray for editing with Davinci Resolve, Premiere Pro CC, Avid Media Composer. 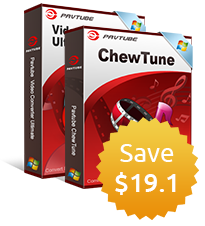 Apart from Windows Movie Maker, you can also use the program and also its Mac version to rip Blu-ray for editing with Davinci Resolve, Premiere Pro CC, Avid Media Composer, iMovie, FCP X. How to Import and Edit Blu-ray Movies with Windows Movie Maker? Insert your Blu-ray disc into an external Blu-ray drive, then launch the Blu-ray ripper program on your computer, click "File" > "Load from disc" to load Blu-ray disc into the program. You can also load BDMV folder and Blu-ray ISO image file with the program. 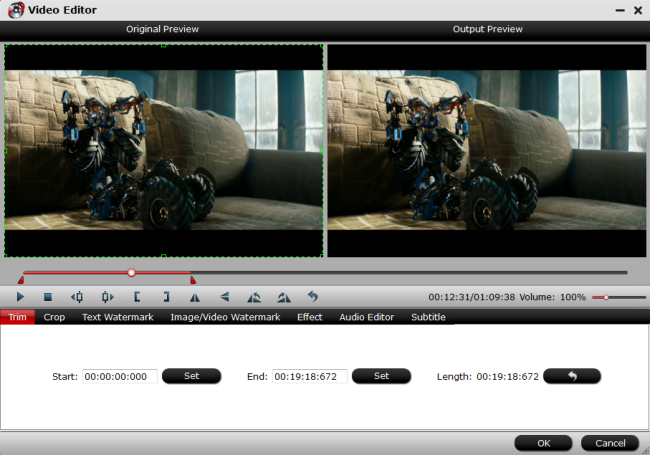 Check a Blu-ray title on the main interface to active the "Video Editor" function, then click the pencil like icon on the top tool bar to open the "Video Editor" window, you can trim video length, crop video black bars, add watermark, apply sepcial rendering effect, remove/replace audio in video, etc. Step 4: Start the final Blu-ray Ripping process. After all the settings is completed, hit right-bottom "Convert" button to start to rip commercial Blu-ray to Windows Movie Maker editable file formats. When the conversion is completed, hit the "Open Output Folder" on the main interface to pop out the folder with the converted files. Then feel free to load video into Windows Movie Maker for editing with no problem.